Welcome to my website where you’ll find information about my services which make a difference to the health (especially mental health) and wellness of individuals and communities. 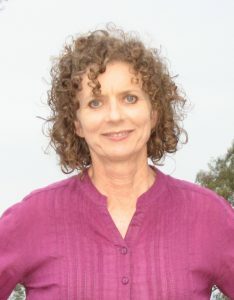 My name is Kathryn Walton - I’m a passionate advocate for women and human services professionals, particularly in rural and regional areas where I’ve lived and worked for over 20 years. My love of family, nature, healthy lifestyle practices and creativity guide my personal and professional life. I developed my unique training packages and workshops so that I can more widely share inspiring and practical evidence-based information and skills across communities. There are so many ways to be proactive in your own health care, and often the little tweaks make an enormous difference to how you feel. Some of the theories and approaches I use include mindfulness, cognitive and behavioural approaches, creative and expressive therapies, focused psychological therapies, strengths-based approaches and healthy lifestyle practices. My experiences across various sectors and my active engagement in healthy living enable me to engage and inspire clients towards improved health and wellness, living life to the full, and feeling great! My professional background includes work in child protection, residential care for children in care, community-based adolescent and parent support programs, school counselling, child and youth mental health, community development and private practice. I have complemented my Masters level university studies in Social Work with additional training in Sandplay Therapy and Symbol Work, Training and Assessment, Focused Psychological Therapies and numerous other professional and personal development programs. “Kathryn’s professional development groups have assisted me on my journey of self-reflection in both my professional and personal life. The relaxed and open way that Kathryn facilitates these groups creates a safe space for sharing and learning. Some of the practical tools I learnt during these sessions have proven to be invaluable to my self-care toolkit and I use them all the time.